Our award-winning team of interdisciplinary students wants to grow 3D DNA Origami crystals. Why do we need to go into space for this? So far it has not been possible to produce uniform crystals from the new and innovative nanomaterial DNA Origami on Earth. One possible reason could be earth gravity. It is known, however, that microgravity has a positive effect on crystal growth. The International Space Station (ISS) would offer us the unique opportunity to study the behaviour of the material in microgravity and to exploit its positive effects on growing a 3D DNA Origami crystal. In a Germany-wide competition prompted by AIRBUS Defence & Space, the most exciting and innovative scientific experiments were sought in order to bring them to the research facility “Space TangoLab” on board the ISS. 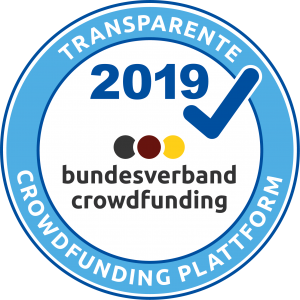 Our international team of graduated students of the Technical University of Munich (TUM), united by the fascination of space travel, was able to convince a demanding jury of experts and thus win start-up funding for a successful crowdfunding campaign. In 2019, we want to conduct a fully automated experiment on the crystallization of DNA origami nanostructures onboard the ISS. These crystals will make it possible to break new ground in robotics, computer science, materials science, medicine and drug development. With your help we want to tap the enormous potential of DNA Origami crystals for robotics, nano-computer technology, materials science, medicine and smart drug development. At the Center for Nanotechnology and Nanomaterials at TUM, Karoline, our team leader, not only did gain first experience with DNA Origami, she was also instantly fascinated by the challenge of successfully producing macroscopic 3D crystals. Being a group of students likewise enthused by astronautics and materials science, we discussed this scientific problem and already by that time the idea of facilitating the growth of the crystals in microgravity arose amongst us. At the beginning of 2018, the AIRBUS Kiwi team announced a nationwide competition for the first time. They were awarding the most promising scientific experiment to be performed on ISS, hence under microgravity conditions. We didn't hesitate to apply for the AIRBUS competition as soon as it was issued. Being the winners of the competition with our idea, we now have the unique opportunity to send our crystallization experiment into space with your support! Why should Space Origami be supported? We combine the necessary interdisciplinary knowledge from chemistry, biochemistry, physics and engineering sciences. This exchange of different disciplines and working together towards a common goal generates many ideas and innovative solutions. Together we will build an automated crystallization experiment that will enable the successful crystallization of DNA origami in microgravity. DNA origami are a very interesting material for space travel because these nanostructures are lightweight and self-assembling. In addition, they can be produced from bacteria, a cheap renewable raw material. DNA-Origami nanostructures have existed since 2006, in the last 12 years this technique has made incredible progress. Functional DNA origami rotors and boxes with controllable lids have already been built. Our experiment uses the optimal conditions for growing DNA Origami crystals on the ISS to create a new form of this nanomaterial. These crystals have great potential for application as a nanoelectronic component, furthermore will be used in medicine and for the structural elucidation of biomolecules. Microgravity offers optimal conditions for crystal growth because convection and sedimentation effects are negligibly small. Thus, a regular and pure crystal can be grown. Another scientific aspect of our experiment will be to have the possibility to send DNA origami structures into space for the first time and to investigate the influences on this innovative material. As a promising material for future space missions, the behaviour of this new nanomaterial in microgravity is of course of great interest. If our funding threshold is reached, we will book a flight for our experiment to the ISS to be installed in the Space TangoLabs platform. We need synthetic DNA strands and chemicals for our three-stage experimental setup, the preceding test series, the crystallization approaches in space and the parallel control approaches on Earth. Your support also enables us to build the Science Box with the necessary hardware to automatically start and operate the experiment with three different DNA origami structures. If the funding threshold was exceeded, we could send another DNA Origami structure into space for 42.600€ each. Up to six structures per science box would be ideal for an efficient use of the available space. With your support our experiment will make it possible to break new ground in robotics, nanocomputer technology, materials science, medicine and smart drug development. DNA-Origami is a new technique in nanoscience that makes it possible to build self-assembling structures with nanometer precision. The DNA used is not seen as a carrier of genetic information, but as a "bottom-up" building material. The desired structure is composed of many nanometer-sized elements. Three-dimensional objects are folded from DNA single strands. Many different forms, such as an octahedron or a cube, can be realized. This technique has only existed for 12 years, but it is already possible today to build sophisticated functional structures! The next step will be to extend the material by the nanometer level and to build larger structures. One thinks here of crystal formation, where millions of DNA origami structures make up a large, very stable structure. But building macroscopic 3D DNA origami crystals is an unsolved task so far. Crystals are very regular structures with defined distances, this property can be exploited to produce nanoelectronic components for a DNA computer, for example. Here, the extraordinary modifiability of DNA structures can be utilized. Das Space Origami The Space Origami crystallization experiment will be sent to the ISS in October 2019 in a one-litre cube. The experiment is automatically started without interaction by astronauts. Crystal growth will then begin for at least 30 days. Meanwhile, we can observe the progress of our experiment with built-in cameras. Our DNA structures are marked with fluorescent dyes, so that despite the small size of DNA-Origamis we can investigate their behaviour even without 1000x magnification in the Science Box. This allows us to directly compare the parallel experiment on Earth with that on the ISS. After their time on the ISS, the Science Box is sent back to Earth and the samples are analyzed by us (X-ray structure analysis of the crystals). By analyzing a successfully grown crystal, we can draw conclusions about how DNA origami crystal growth works on Earth, so that crystals can also be produced here. Three fields of study, three nationalities and one mission for which we give everything together. Together and with your support, we can carry out this exciting project successfully. 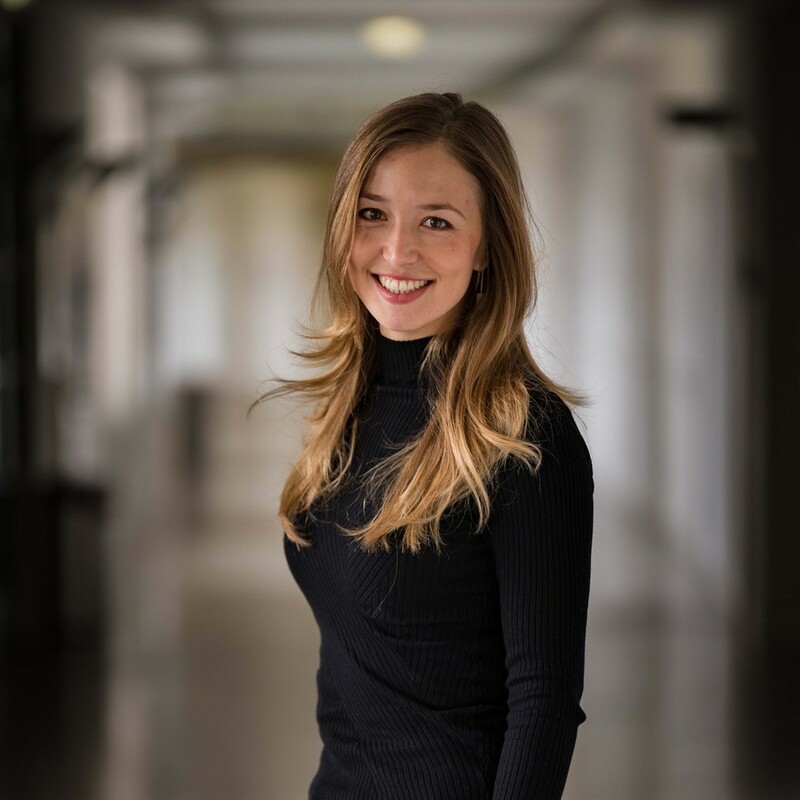 Since her bachelor thesis in this field Karoline has been fascinated by DNA Origami and the possibilities of this nanotechnology and has been working with different DNA Origami structures at the Chair of Biomolecular Design for more than a year now. As a biochemist with extensive experience in the field of DNA Origami technology, she is responsible for the selection and preparation of the DNA Origami structures to be sent to the ISS as crystallization approaches, as team leader for the coordination, planning and management of the Space Origami Mission. Born in Vienna, she started her studies at the TUM in 2013, made a short detour to the Indian Institute of Technology in Delhi and is now studying biochemistry at the TUM. Our team engineer Joram completed his bachelor's degree in mechanical engineering with a focus on design at the FAU Erlangen-Nuremberg before returning to Munich. Since 2016, he has been studying Mechanical Engineering at the Technical University of Munich for a Masters degree. Always interested in aerospace, Joram worked for the turbine manufacturer MTU Aero Engines and for the Institute of Astronautics at the Technical University of Munich. Being Space Origami’ s engineer, Joram is responsible for developing the box that is to become the home of the DNA crystals. 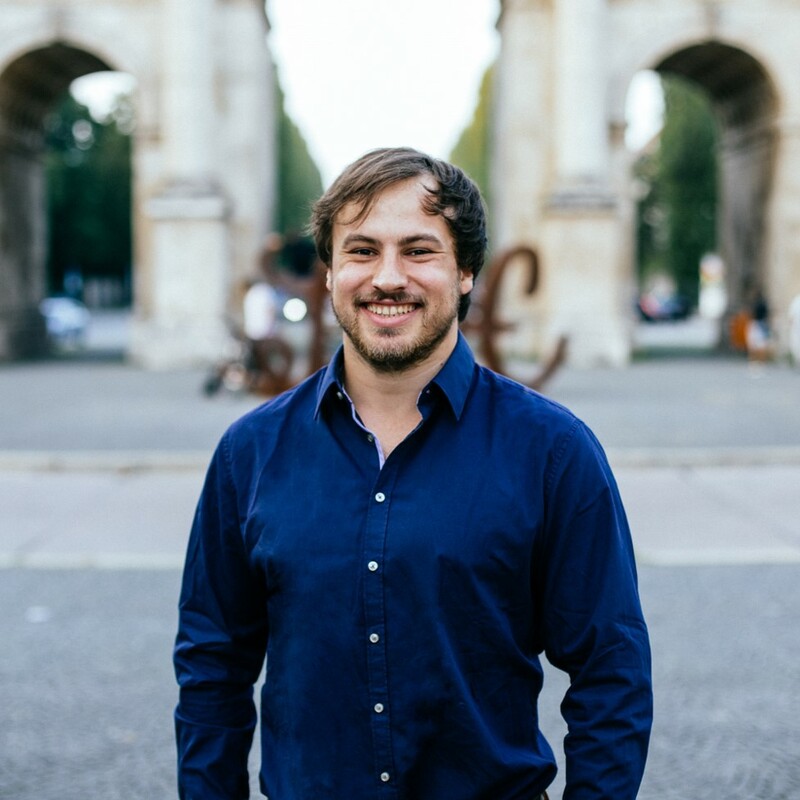 Through his project experience in the field of construction in Erlangen and the deepening of his knowledge during his studies in Munich, and Istanbul (Turkey) Joram was able to acquire all necessary skills to develop the overall system. Marija was born in Riga to a family of natural scientists. Since her school days she has been interested in chemistry. 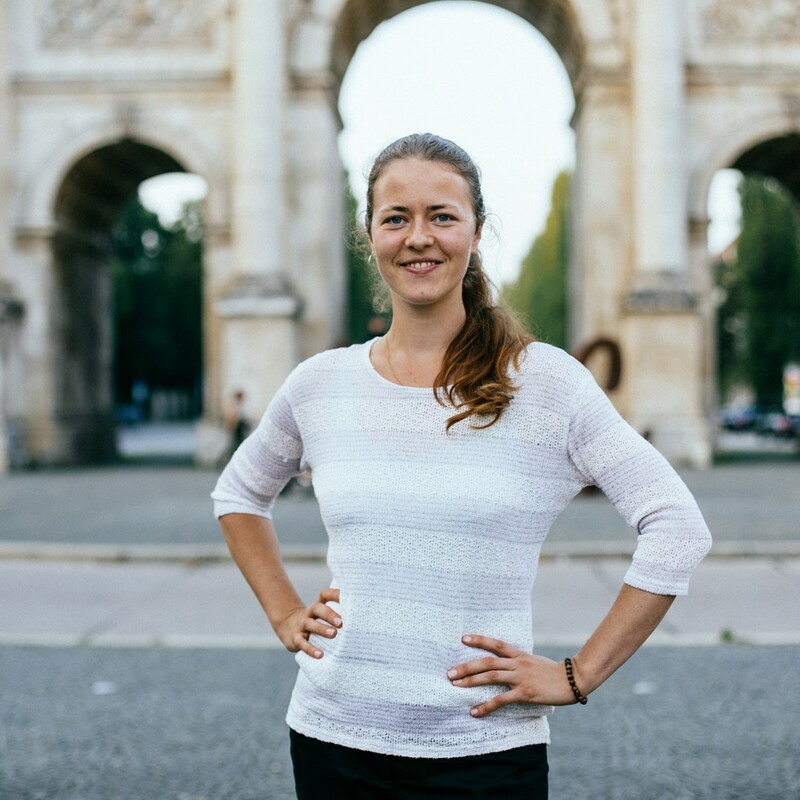 After graduating from high school, Marija began her scientific career in Austria and in 2016 she obtained her Bachelor’s degree in chemistry at the Karl Franzens University in Graz. In the same year she came to Munich, where she began her master studies in chemistry at the TUM. Expert knowledge in chemistry enables Marija to design and plan the DNA Origami experiment and to realize the fascinating future-oriented Space Origami project. Research associate at the Chair of Biomolecular Design (Prof. Dietz). She has been working on the crystallization of DNA origami for several years and supports the team with her expertise and experience. Research associate at the Chair of Biomolecular Design. He supports the team as a physicist in the implementation of the experiment within the given framework on the ISS. In February 2018, our Space DNA-Origami team was formed in the course of the Science Box competition announced by AIRBUS. 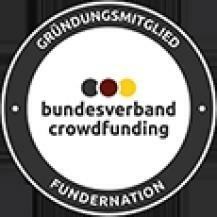 After being chosen in the internal TU Munich preselection by the former astronaut Prof. Walter, the team prepared for the Germany-wide pitch. In front of a jury of AIRBUS managers and crowdfunding experts in June 2018, we successfully presented our experiment at AIRBUS Defence & Space in Friedrichshafen and won the competition. Since then, our team has already spent many hours in the laboratory selecting the best structures for the experiment in space and designing a suitable setup for the Science Box. In October 2019 our Science Box, filled with the selected DNA-Origami structures, will be brought to the ISS with SpaceX19. There, the experiment will first be accommodated in the Space TangoLab, where we will launch it and take the pictures. After about 30 days, the Science Box will be stored in a temperature cabinet of the ISS until it is brought back to Earth. The flight is followed by a comprehensive evaluation phase. Afterwards publications based on our results and thus targeted follow-up research is our goal. Subsequently we want to create a DNA-Origami crystal on Earth. Space DNA-Origami now needs your support to continue our experiments and successfully take the Science Box to the ISS. Projectpartner – who supports us? 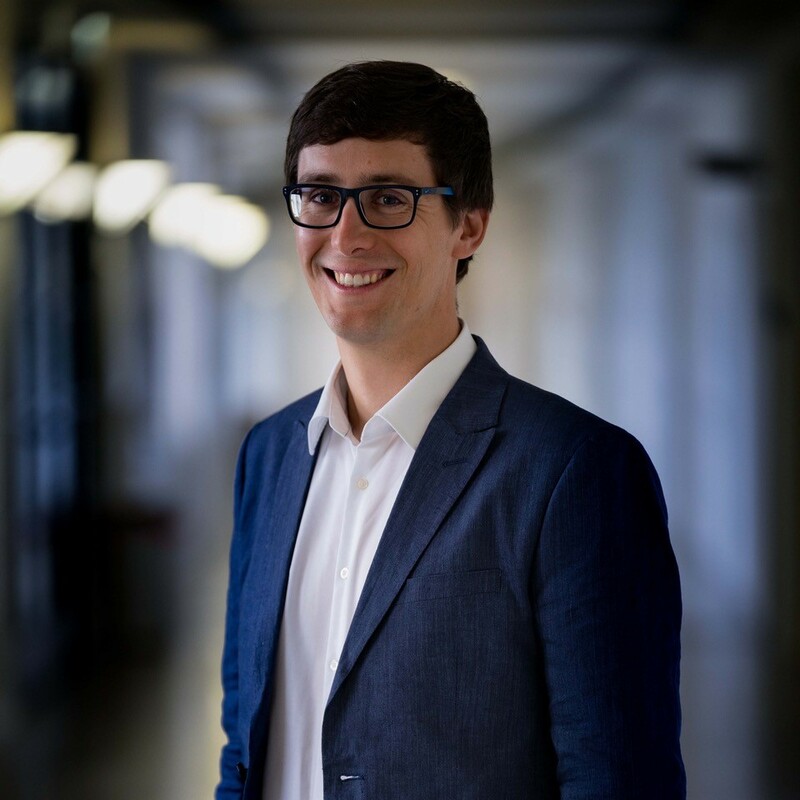 Professor Dr. Hendrik Dietz, professor of Biomolecular Nano-Technology at TUM, provides us with his laboratory for experiments and his doctoral students provide us with advice and their specialist knowledge. In addition, the Chair of Astronautics at TUM, Professor Dr. Ulrich Walter, supports us with his expertise in the field of system engineering and his wealth of experience in astronautics. The AIRBUS Kiwi team supports us in the construction and production of our Science Box, so that nothing stands in the way of a successful flight and experiment. We are very grateful for the support by experts at TUM and AIRBUS Defence & Space in the new research field of DNA Origami. Two embroidered mission patches for you. 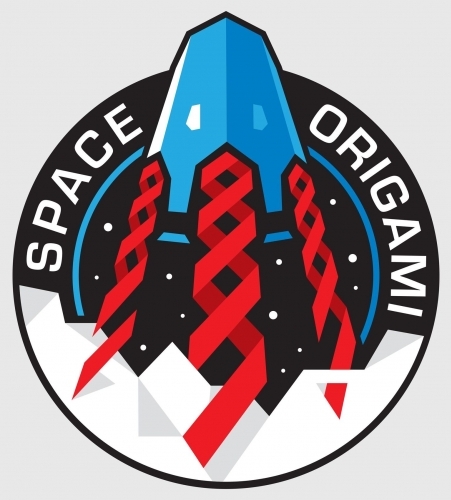 Consisting of a t-shirt, a hoodie, a postcard, a DIY paper-origami and a mission patch. Your logo will be shown at public appearances of the team and can also be seen on the teams t-shirts and hoodies. Your logo will graze a whole side surface of our ScienceBox! Additionally, we show your logo on a roll-up at public appearences! At which position in our ScienceBox will we see crystal growth? Choose your favourite structure and name your crystallisation approach. The most successful crystallisation approach wins a dinner with the Space Origami team! We bring your DNA to space! Donate us one of your eyelashes , which we will use in one of the crystallisation approaches as a polymerization seed. A side of our ScienceBox (which has been to the ISS) on an engraved pedestal with personal delivery. You can be at the Kennedy Space Center when our experiment is sent to space. Two VIP tickets for the launch in October 2019. The tickets will be delivered personally from the team. You can spend the launch day as part of the team the team wearing your personalized team wear.